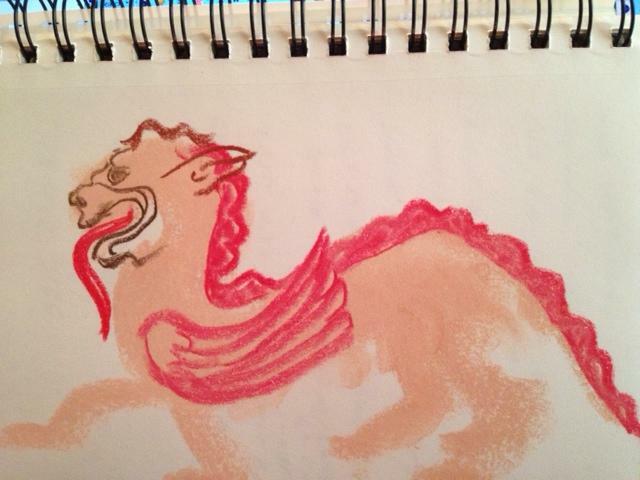 A chimera drawing inspired by a museum exhibit of a chimera ancient sculpture. 5.5″ x 8.5″ in a sketchbook. Colored pastel.